It is a common knowledge that medical school is a tough and demanding endeavor. For some, it’s the hardest thing to get into compared to other degrees. Being a medical student means working harder than you’ve ever worked in your entire life, but the fruit (to be able to save one’s life) is highly rewarding. Recently, a college girl gained popularity after saving the life of an 81-year-old stranger. This amazing incident took place at Jinzhou South Railway Station in Liaoning Province. 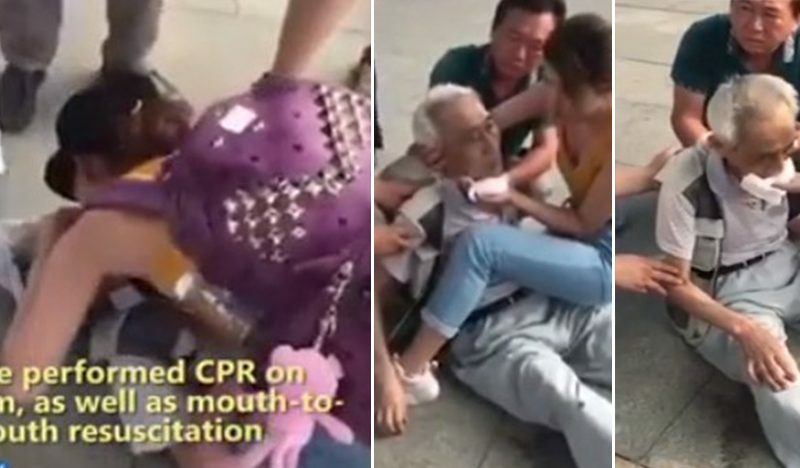 The elderly man, identified as Cui Yonglong, collapsed on the platform a few moments after he got off a train. 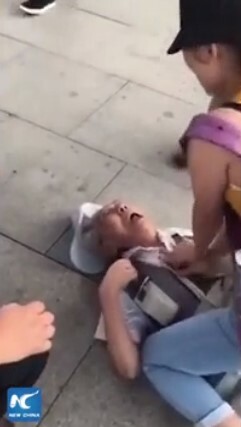 Ding Hui from Jinzhou Medical University rushed to his aid upon hearing the broadcast of the incident. She proceeded to perform rounds of CPR on the man who gradually helped him regain consciousness. At first, fellow passengers were petrified of the life and death scenario. But as soon as the old man came to his senses, everybody got so relieved. The student didn't leave his side until a group of paramedics arrived on the scene. Apparently, Ding was waiting for her train home headed to Shenyang which she missed after staying behind with the old man. Good thing, the staff of the railway station arranged for her to take the next train instead. To express his gratitude, Cui's son, Cui Daidai, offered the student 2,000 yuan ($296) for her help, but Ding kindly turned him down. According to her, she only did what any medical student would do. 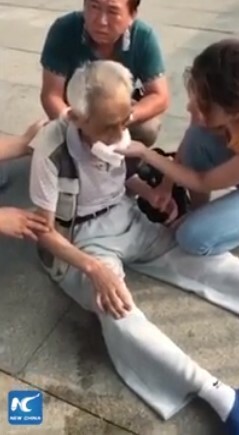 Ding Hui's successful attempt to revive the elderly man was documented and posted online. Praises and support for the medical sophomore poured from all over the world. They were elated to see how Ding applied her learnings to real-life situations. Likewise, her professors and other school staff were extremely proud of her heroic action after the train station sent them a commendatory letter for cultivating students like Ding. All of them applauded her for saving the elderly man from grave danger.